Ravi has addressed many companies’ business cases through his niche and unique ERP solutions. His article on “KanBan’ has been widely referred to by small and large-scale industries. On numerous occasions, Ravi’s efficacious solutions have won him accolades and awards. Ravi has provided more than 50 companies with competencies they didn’t possess, such as analyzing and addressing ERP and wholesale distribution software, organizational change, and business process needs. Ravi believes that finding ways to improve the customer experience is essential, and that the responsibility for improvement spans the enterprise. He is passionate, driven, and an energetic business leader with a strong desire to remain ahead of the curve in outsourcing solutions and service delivery. He is extremely pleased to be serving the Stevie Awards community as Chair of the Judgning Committee for the Information Technology in 2018. Ahmed Al Naqbi is an Analyst IT Solutions in ADNOC Onshore. During his 2 year tenure, Ahmed participated in different projects and tasks that lead to increase the performance and profitability in critical areas in the company especially in oil operations. Before this, Ahmed was a developer in United Arab Emirates University in Al Ain, where he was part of Academics Applications\Solutions, helped in create new solutions and maintain existing ones. Ahmed holds a bachelor degree in Science of Information Technology from Ajman University. In his spare time he enjoys hacking Linux Kernels and reading books in various topics includes military history and managements. Bilal Awan is an entrepreneur with a Masters in Network Security. Bilal moved from Pakistan to the United Kingdom in 2004 and then he moved to Ireland in 2007 to pursue his career. He started technology business in 2011. While building his business, he spoke at several events addressing issues surrounding non-indigenous entrepreneurs. Bilal was awarded “Entrepreneur of the year” 2013 by Community Networks, and was listed in the top 20 young entrepreneurs (out of 2200) during Web Summit 2014. Bilal has commenced operations in the Balkan States to provide vital IT experience to young entrepreneurs as well as strengthening the IT infrastructures in the Balkans. His focus is on Cyber Security and Cloud Technologies. As a leading IT specialist firm, the focus is on detecting, preventing and supporting companies with their IT challenges. Bilal is already operating in 6 countries and planning to expand to further countries soon. 12+ Years of experience in software quality assurance and Test suite automation development for Desktop, client/server, web based (Front End / Back end), GUI, SOA, E-commerce and cloud based applications. Received number of Bravo rewards for exceptional work and helping and resolving critical problems. IT Star Nationwide Level winner. Quick learner, self starter, strong team player with good work ethics and a good understanding of QA methodologies. Handles multiple projects. As the Director of Innovation and Technology in MITRE's Enterprise Computing Information and Security Center, Mr. Cenkl is currently responsible for MITRE's innovation program chartered with identifying and realizing disruptive and emerging technologies and practices into MITRE's knowledge management and IT strategies and practices. Dr. Elijah Ezendu had functioned as Director, Speakers Africana; Chairman Advisory Board, Igbo Filmmakers Forum; Chairman, Motus Health Initiative; Chairman, Charisma Broadcast Film Academy; GCOO, Idova Group; CEO, Rubiini (UAE); Special Advisor, RTEAN; Senior Partner, Shevach Consulting; Chairman (Certification & Training), Coordinator (Board of Fellows), Lead Assessor & Council Member, Institute of Management Consultants, Nigeria; Lead Resource, Centre for Competitive Intelligence Development; Turnaround Director, Consolidated Business Holdings; COO, Rohan; Executive Director, Fortuna, Gambia & Malta; Vice Chairman, Refined Shipping; Director of Programmes & Council Member, Institute of Business Development, Nigeria; Member of TDD Committee, International Association of Software Architects, USA. Igor is a Network Architect assisting remotely or on-site such customers as large Enterprises, ISPs, Systems Integrators across Scandinavia, EU, U.S. on a contract basis. He consulted for such companies as TeliaSonera, HP, P&G, Cygate, Ericsson, Telenor Inpli, H&M, Nets, Essity. Igor is a dual CCIE - Cisco Certified Internetwork Expert in two domains: Routing & Switching and Service Provider. Arnav Gupta has 8+ years of experience in information technology. He currently works with Cognizant Technology Solutions.and has published four scholarly research papers in computer science areas. Mehdi Hassan is an IT Leader & Cyber Security Evangelist with 18+ years of international experience with PwC, Wipro Limited and CMC. He has experience working with many Fortune 500 customers. He has developed extensive Strategic Leadership, Management, Cyber Security Architecture and Business Development skills within a variety of business industries including Finance, Insurance, Telecom, Retail, Manufacturing and Healthcare across USA, Asia, Europe, Australia and Latin America. He has helped customers with IT Strategy, Solution Roadmap, Business/IT Alignment, Program Plan, Cyber security Implementation, Consulting and Solution Architecture & Design. He holds a Bachelor degree in Computer Science and Engineering. Steve Iffie is the President and CEO of GlossiveTech. He has over 21 years experience in designing and programming highly responsive mission critical Enterprise and Cloud-based Business / Education software and services that is accessible on Desktop, Tablet and Mobile. Hardik Joshi is a highly experienced IT professional currently working in different roles including Lead Software Engineer, Release Lead and Freelance Software Architect with more than 8 years of experience in the IT corporate world. He is AWS Certified Solutions Architect- Professional, AWS Certified Developer - Associate and Oracle Certified Professional, Java SE 8 Programmer. He has held senior positions while consulting several Fortune 500 clients in implementing IT projects. 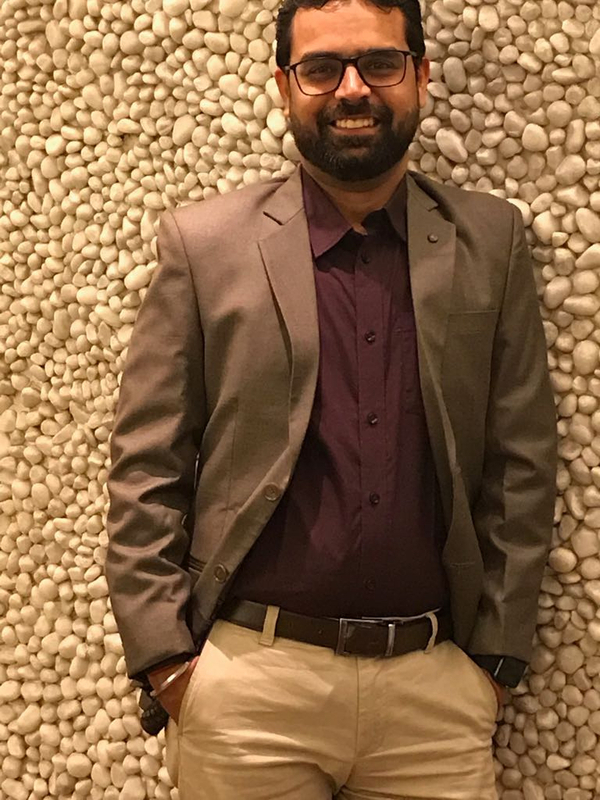 Hardik has extensive experience in different domains including Data Center, Financial ontology, Shipment services, SNAP and EBT card system, General ledger and Expertise in Retirement System. Pratik is a result oriented IT leader having more than 17 years of experience in Software Development where he has designed, developed and managed small to highly complex software solutions for various industries. He is passionate about solving complex business problems through the new and innovative way through technology. He has written various articles on Agile based processes those are well received by the industry. He is excited to serve as a judge for the Stevie Awards. Arvind Kumar is Advanced Certified Senior ERP Solution Architect & Information Arvind Kumar is Advanced Certified Senior ERP Solution Architect & Information Technology Manager. He has 20 years of enriched experience in designing niche solutions in SAP/ Big data/ SAP HANA & IT Projects across the globe. He is Pioneer in analysis, design, development, testing & implementation of customized ERP (SAP) and Big data, Hadoop solutions for new implementations and upgrades. Experienced in delivering complex solutions in various IT SAP projects using expert level skills. Arvind Kumar began his Information Technology career in 1998. From there, he progressed through several IT leadership roles in diverse industries and technologies. Arvind Kumar is a technology expert and passionate problem solver. He is SAP OTC, SAP HANA and PMP Certified. Supriya is a Microsoft Certified Cloud developer (MCSA) and has expert knowledge in developing distributed web applications using ASP.NET(MVC), SQL Server, Micro-Services and Web-Services. Throughout her career she has been involved in providing solutions for Client Critical Defects. She has been developing scalable solutions by leveraging Cloud Platform Services. Mohammad Raza Rizvi is an IT professional with 15+ years of international experience with multinational firms. He has experience working with many Fortune 500 customers in the US and Europe, helping them succeed in their IT and business transformation programs and digital implementations across Finance, Telecom, Automotive and Printing Solutions industry segments. Senior Technology Leader and a Management Consultant with Deloitte Consulting focusing on IT Service Management and ServiceNow Implementation. I have over 18 years of experience with IT Service Management that include leading IT transformation programs for Global Fortune 500 companies utilizing leading practices. My experience involves assessment, strategy development, process design, service improvements, sourcing and technology solution implementation. CTO of Naya Tech, a leading database, cloud and big data solutions provider and creator of migVisor - the world's first database cloud migration advisor software. David is a certified database expert and a cloud solutions architect with over 15 years of experience in information technology and database platforms including Oracle, Hadoop, Amazon Web Services, Microsoft Azure, MySQL, and PostgreSQL. KZ Group is a Jordanian's group of companies working in the engineering consulting and industrial sectors. It was founded in 1993 by Chairman of the Group, Khaldoun Zeinati. Khaldoun focuses on promoting and strengthening startups, enterprises and projects doing business in Jordan and Arab countries. KZ group has been the recipient of numerous awards and certificates for product innovation and quality and was recently invited to join FasterCapital, a virtual IT incubator, as one of its regional partners in Jordan. Khaldoun Zeinati has a BS in Mechanical Engineering from the Technological University – Baghdad. He is Chairman of the Board of Directors and Founder of Sawaed Arabia for Training and Development of Entrepreneurship (NGO).